Click above to download Contracts, Maps, Floor plans, etc. Visa, MasterCard, American Express are accepted. You can bring your own gear and we're happy to price out Grip and Lighting for you. We price our stage as a package deal. All costs based on 12-hour day 7am-7pm Monday through Friday. 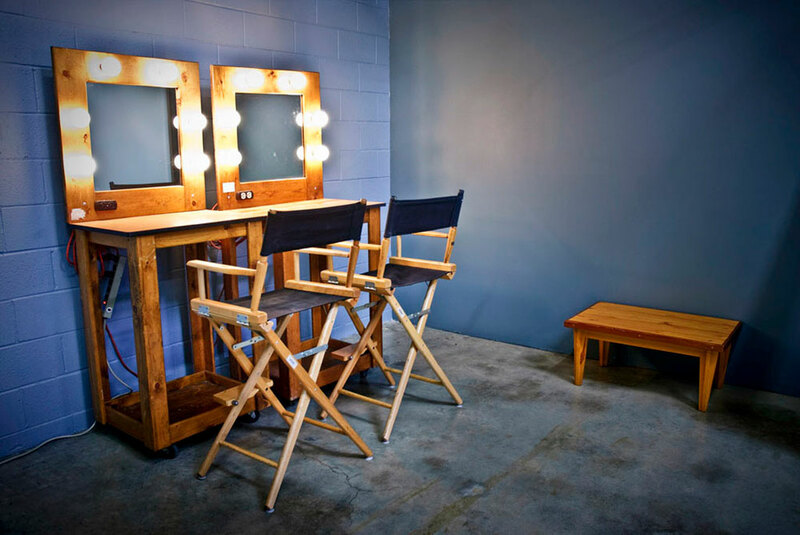 We won't charge extra for: power, trash, wireless internet, air conditioning, parking, make-up and wardrobe rooms, live streaming feed off your camera (password protected). Phone: 818.985.7766 Copyright - 2016 Mad Dog Video - All rights Reserved.